"Art and magic are pretty much synonymous. I would imagine that this all goes back to the phenomenon of representation, when, in our primordial past, some genius or other actually flirted upon the winning formula of 'This means that.' Whether 'this' was a voice or 'that' was a mark upon a dry wall or 'that' was a guttural sound, it was that moment of representation. That actually transformed us from what we were into what we would be." I recall one of my friends saying something along these lines a long time ago. I saw this here. "I don't mind being miserable as long as I'm painting well." This is a painting called At The Drive-In, and it made me smile. 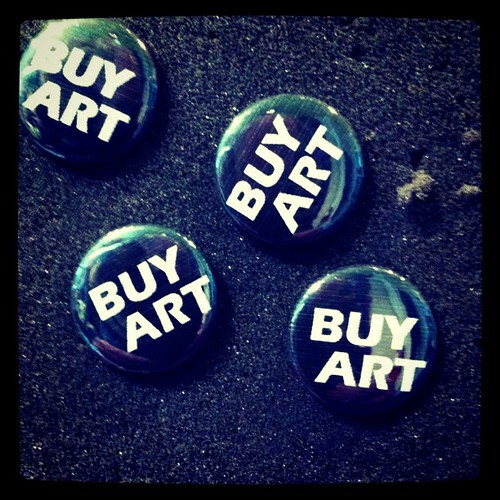 "Stealing things is a glorious occupation, particularly in the art world." Some advice from Austin Kleon. It says something about the cover of Nirvana's Nevermind that it can be recreated with Pantone samples, and be recognized. As seen here. ... you're in a museum. 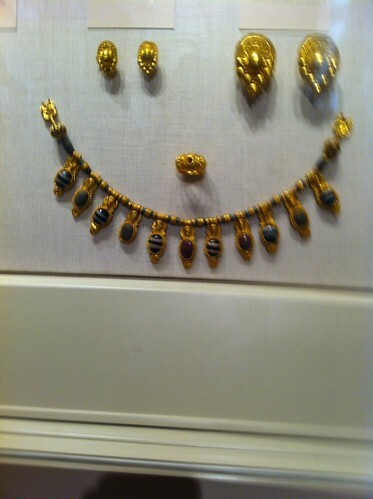 This is a picture Nick took while we were exploring the Met - the Metropolitan Museum of Art - this weekend. I love reviewing the camera roll, and a) rediscovering things I looked at and b) seeing things I never noticed at all. This includes the above. "I don't much enjoy looking at paintings in general. I know too much about them. I take them apart." "If I didn't along with people, I just spent time by myself painting. And I didn't get along with people a lot." "A good review from the critics is just another stay of execution." I saw the above shot in this collection of street art from all over. 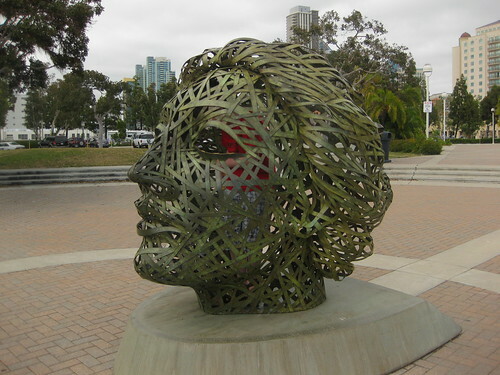 This is one of the statues built along the waterfront. If you look carefully, you can see Nick through it, having a close look at how it was erected. "I have made my world and it is a much better world than I ever saw outside." "I never painted dreams. I painted my own reality." "He knows all about art, but he doesn't know what he likes." "A painter who has the feel of breasts and buttocks is saved."